Adventure Map: Morocco  - $9.95 : Trail Explorers Outpost, Keeping the Adventure Alive! 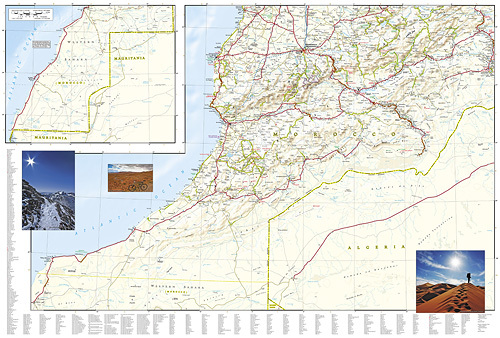 National Geographic's Morocco AdventureMap is designed to meet the unique needs of adventure travelers - detailed, durable, and accurate. 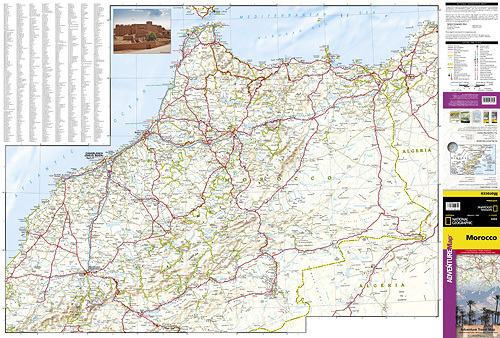 Morocco includes the locations of thousands of cities and towns with an index for easily locating them, plus a clearly marked road network complete with distances and designations for motorways, dual carriageways, major roadways, and more. Our Morocco AdventureMap is printed in the U.S.A. on a durable synthetic paper, making it waterproof, tear-resistant, and trail tough capable of going anywhere you do.